Divorcing my love for Super Furry Animals from any review involving the band's genius and creative voice, this post's subject Gruff Rhys, is essentially impossible. I can recall clearly the first time I heard SFA's Rings Around the World. I was at work, in the office space, and a collection of electronic/'60s infused, energetic music poured from the speakers and straight into my heart. That album is almost too good, but this review isn't about that album, nor is it about poorly constructed sonic-emotional hyperbole. ("...from the speakers and straight into my heart?" Am I serious!?) Gruff Rhys, lead singer and guitarist for SFA has just released Hotel Shampoo, an album titled after Rhys' penchant for collecting hotel sample-sized freebies while on tour. And considering that the music itself feels like a broad-catalog collection of genres, bounding from SFA style electronic rock, '60s and '50s rock and some traditional Spanish-infused tunes, it seems appropriate that the album be titled about the act of collecting. Hotel Shampoo doesn't have a "sound" that a listener can easily pin down. And other than Rhys' signature voice, it could easily be a collection of free odds and ends in its own right. Really, this is a prime example of the eclectic taste imparted in any Super Furry Animals record. Rhys sings sweetly, using a sort of free-association style lyrical quality to guide us from one beautiful melody after another. Not every song is a story and not every one makes a lot of sense. Often these are just the verbal images meant to populate a cascading drumbeat or fall behind the warm blaring of horns. But regardless, the tone and feeling given off is pure and kind, like a sort of musical hug, set to different time signatures in each case. As with SFA albums, Rhys employs as many instruments as possible. This is not a guitar-guitar-bass-drums album. There are trumpets, keys, electronic flourishes, and delicate strings. 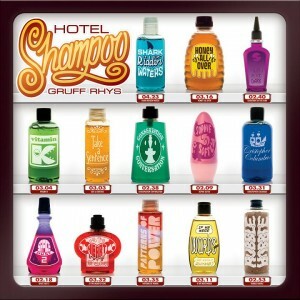 In fact there's very little about Hotel Shampoo that defines itself from any of Gruff Rhys' SFA work. The only problem is that the album lacks the definitive hooks we've heard on previous albums. Sometimes, the experimentation is perfect, but the laid back nature of the album betrays it, making it difficult to grasp initially. That said, giving up on this album straightaway is a fool's game. Songs like "Sensation in the Dark," the dissonant "Conservation Conversation" and the opener "Shark Ridden Waters" all carry the album and keep it both inventive and secure. 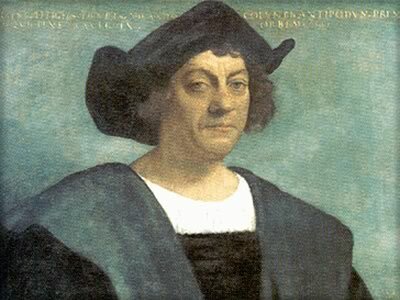 "Christopher Columbus" is a sharp track too, loaded with brilliant laser sounds. And that's the key, a combination of inventiveness and security have driven SFA's successful moments. No one expected their complex transitions and strange progressions, even as those same songs remained well within our universal music dialog. With Hotel Shampoo Gruff Rhys continues to use what he knows of pop and experimentation to make an album that feels seamless and almost easy. On a song like "Softly Sophie" where sentiment reigns, Rhys manages to keep the ship right, never getting too schmaltzy or sugary, instead allowing the sweet ballad to decay and wash away into a tip-toeing dance of piano keys. But I think I have the most love for "Space Dust 2" a beautiful, playful classic-'60s duet between Rhys and Sarah Assbring of El Perro Del Mar. It's a beautiful and smart lover's argument of a song. And it's essential, at least for me, and for everyone else. Check it out on the streaming widget below... it's the bottom left, pink shampoo bottle. Even though Hotel Shampoo isn't as epic as I've heard Gruff Rhys, he remains playful and mindful, creating great songs that make you think differently about how music can be made. The album really picks up in the last half and it's worth any SFA fan's time. And anyone else for that matter. Around The World (And Back) in 32 Songs.